What began as an unlikely friendship between an adolescent Viking and a fearsome Night Fury dragon has become an epic trilogy spanning their lives. 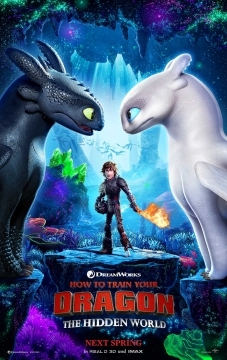 In this next chapter, Hiccup and Toothless will finally discover their true destinies: the village chief as ruler of Berk alongside Astrid, and the dragon as leader of his own kind. As both ascend, the darkest threat they've yet faced—as well as the appearance of a female Night Fury—will test the bonds of their relationship like never before.